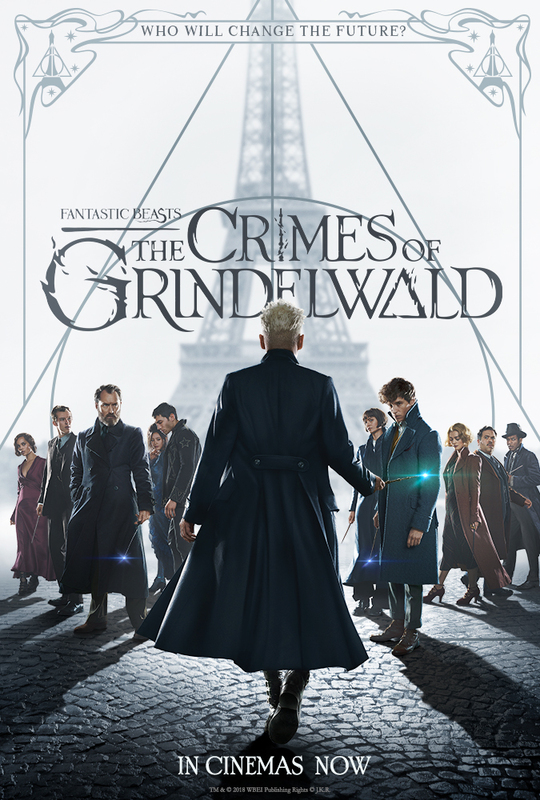 This is visually striking and the magical special effects are... well... magical, but as far as storytelling goes it's a bit of a hot mess, and when you actually examine it, it really doesn't move the story far forward from the first Fantastic Beasts movie. I'm not a great Eddie Redmayne fan, which doesn't help (though I admit he's an excellent actor) and they missed a few tricks with Johnny Depp as Grindlewald. I AM a Johnny Depp fan, but his Grindlewald makeup was so unappealing that you couldn't envisage the character being charismatic enough to gather a band of followers. OK, so what happens? Magizoologist Newt Scamander, due to a misundertanding, now has a strained relationship with love interest Tina (established in the first movie). Grindlewald has escaped from the American Ministry of Magic. Credence Barebone (presumed dead) had reemerged in Paris. So when Dumbledore sends Newt on an undercover trip to Paris, all bets are off. We meet Nagini, a maledictus snake shape-changer, who will later become Voldemort's creature, and there's a guest appearance by Nicholas Flamel and some cute nifflers, but to be honest I'm already losing the thread of what happened when and to whom. Not a good sign.